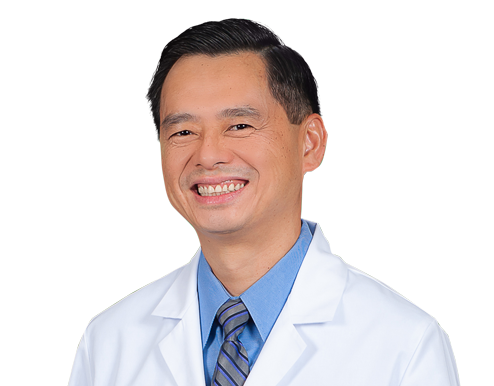 Dr. Michael D. Kwong joined Wake Radiology in 2003. Dr. Kwong grew up in Texas where he attended the Academy of Mathematics and Science and completed his undergraduate degree at the University of Texas at Austin. He completed medical school at the University of Texas Health Science Center at San Antonio. Dr. Kwong completed a diagnostic radiology residency at Boston University Medical Center after an internal medicine internship at Mt. Carmel Medical Center in Columbus, Ohio. Dr. Kwong completed a fellowship in vascular and interventional radiology at the University of California San Diego. Dr. Kwong is an interventional radiologist at Wake Radiology and is the Medical Director and Chief of Radiology at Maria Parham Health. Has special clinical interest and certification to perform vertebroplasty, Balloon Kyphoplasty, interventional oncology and percutaneous tumor ablation Dr. Kwong is board certified in diagnostic radiology by the American Board of Radiology (ABR). Dr. Kwong is a member of the American College of Radiology (ACR) and the North Carolina Medical Society (NCMS). Dr. Kwong enjoys traveling and spending time with his three daughters.